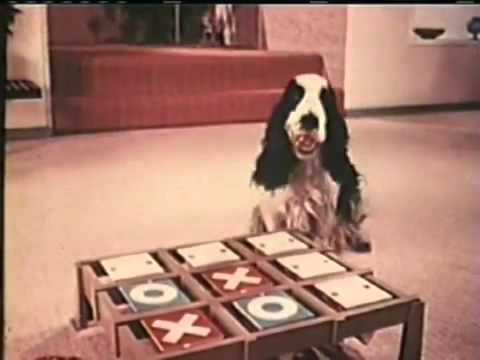 Released in 1969 by Ideal Toy Company, Toss Across was marketed as a re-imagined version of the classic game of tic-tac-toe. The game replaced pencil and paper with a three-dimensional square playing surface consisting of the familiar 3×3 grid. Each square on the grid consisted of a three-sided rotating block; one side had an “X”, one side had an “O”, and the last side was blank. 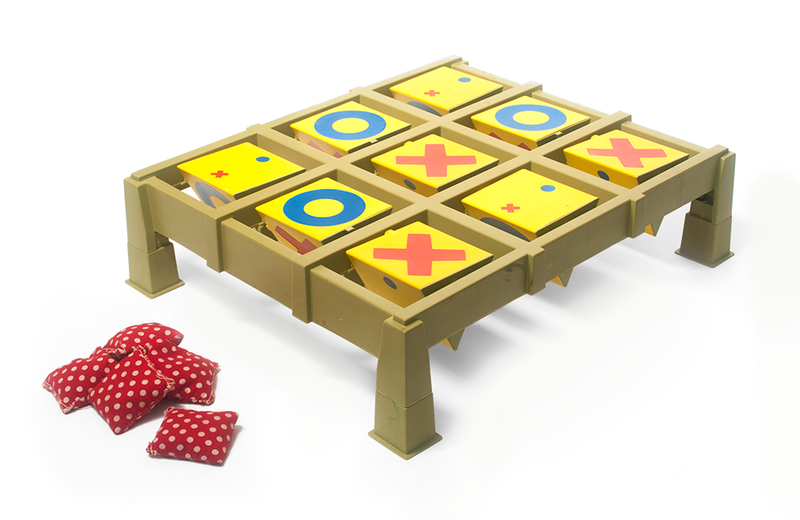 To play, 2-8 players stand 5-6 feet from the game and lob beanbags at the board. A player or team wins when they successfully line up either three Xs or Os in any direction. As you can see from The Brady Bunch-inspired family in the classic commercial, a variety of different beanbag throwing techniques can be used, adding a unique strategic component to the game. Toss Across became an immediate hit for Ideal. Over the years, the company licensed different versions of the game, often with ties to popular movies, television shows and sporting events. After a series of mergers and acquisitions, Mattel acquired the rights to Toss Across and continues to market it today. Despite its name, The Doodler from Kenner has nothing to do with the popular pastime of scribbling absentmindedly on a piece of paper. In 1973, Marx captured the fun of classic amusement park target shooting games in a table-top-sized format called the Magic Shot Shooting Gallery.